. Or . 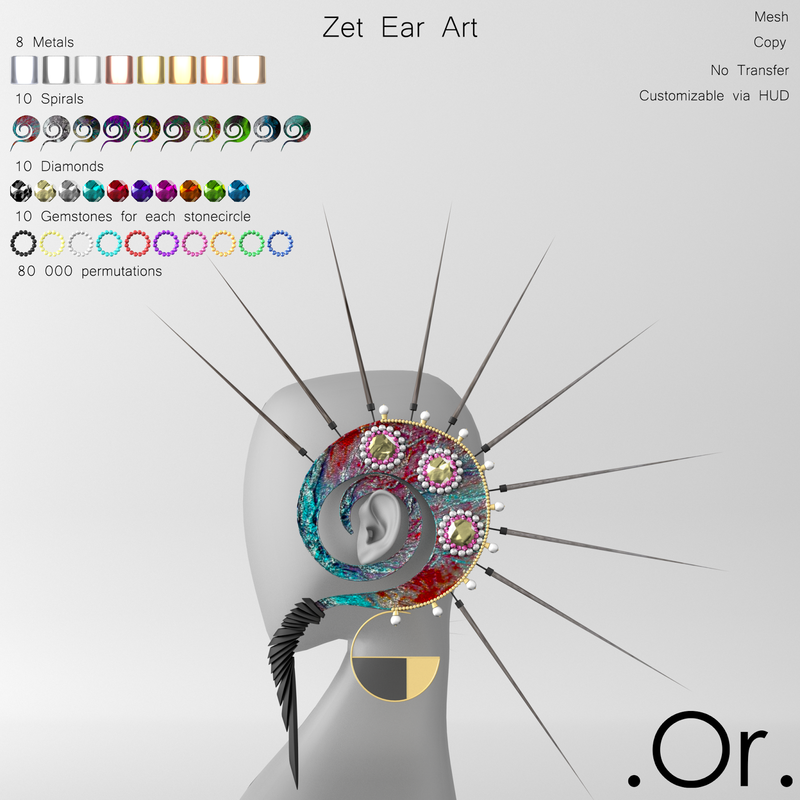 Zet Ear Art | . Or . These are not earrings! This is ear art! 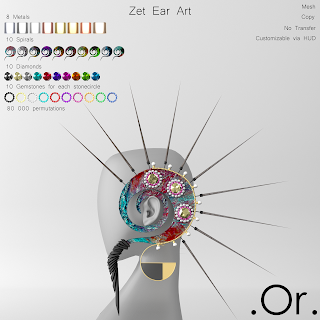 A spectacular statement piece, unique in Second Life. You get a left and a right ear art. Wear one or both the choice is yours. And talking of choice this set supplies you with 80,000 different permutations. That's a lot of ear art for your money! Using the colour change HUD included you can really ring the changes on these beauties. You have a choice of 8 different metals, 10 different coloured spirals, 10 different gemstones, 10 different for the first stonecircle and 10 different for the 2nd stonecircle. You will never get bored with these! And you can rest assured you can match them with any outfit. Another fabulous jewelry piece only available from Or. (The Bright and the Shiny of each of those parts can be activated separatly.